Metal-metal interactions are at the heart of some of the most interesting metal-catalyzed transformations and are found everywhere from Nature (metalloenzymes) to industrially important heterogeneous catalysis (surfaces, nanomaterials). While textbooks have been written about metal-metal multiple bonds, surprising gaps in knowledge remain, including bonding between first row transition metals and bonding between different metals. The Thomas group in the Brandeis Chemistry Department seeks to fill these gaps in knowledge through the systematic synthesis of heterobimetallic complexes featuring a wide range of different transition metals and developing a thorough understanding of the electronic structure and bonding of these novel compounds. 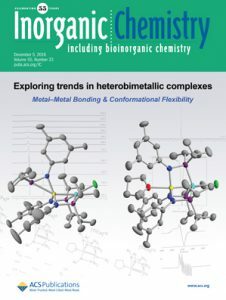 The latest issue of Inorganic Chemistry features cover artwork highlighting the recent paper from the Thomas laboratory titled “Exploring Trends in Metal–Metal Bonding, Spectroscopic Properties, and Conformational Flexibility in a Series of Heterobimetallic Ti/M and V/M Complexes (M = Fe, Co, Ni, and Cu).” The paper describes an extensive study of a series of Ti/M and V/M heterobimetallic complexes, where M is systematically varied across the periodic table from left to right (Fe, Co, Ni, Cu). These complexes are classified as “early/late” heterobimetallic complexes because they feature one metal from the left half of the periodic table (“early”) and one metal from the right half of the periodic table (“late”). The inherent differences between the properties of the two metals makes their metal-metal bonding quite polar and sensitive to a variety of different factors, but also poises these compounds for interesting reactivity because of the two electronically different metal sites presented. 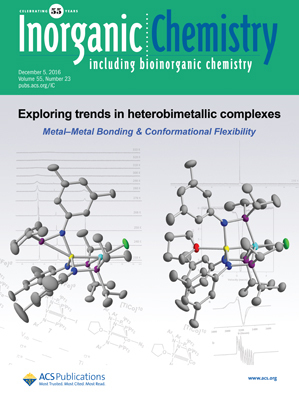 This latest installation from the Thomas group uncovers trends in metal-metal bond distance determined using X-ray crystallography, and uses a variety of spectroscopic (EPR, NMR, Mossbauer) and computational tools to probe the electronic structure of these compounds. Most interestingly, these compounds are shown to be conformationally flexible, with ligand rearrangements occurring rapidly in solution and this ligand hemilability, which is ideal for facilitating reactivity, can be correlated directly with the strength of metal-metal interactions. 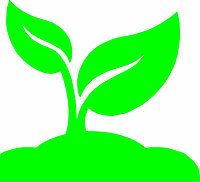 This paper was highly collaborative and its preparation involved researchers from both Brandeis and Harvard University. 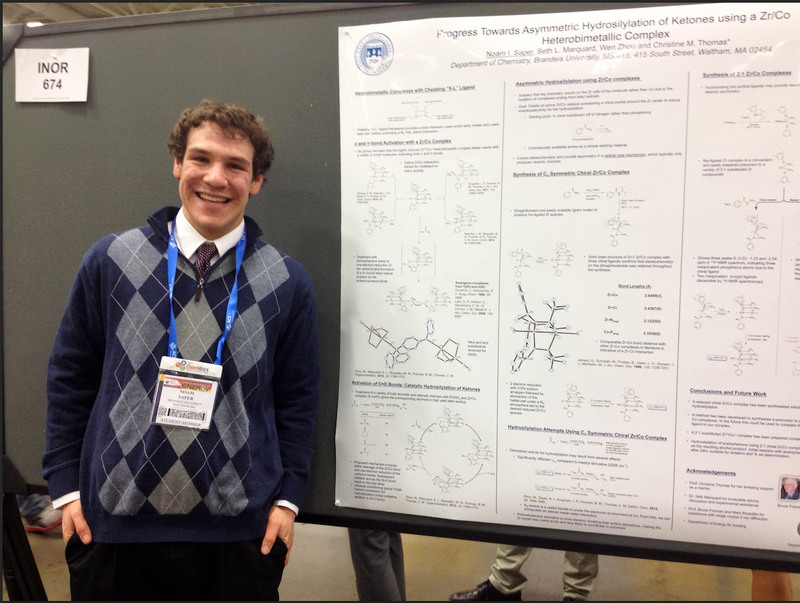 The synthesis and characterization of the new compounds were largely carried out by Bing Wu, a graduate student in the Thomas group, along with Chris Thomas herself. Matt Wilding, a recent Ph.D. graduate student from the Betley laboratory at Harvard University, assisted with the collection and interpretation of Mossbauer data and designed the cover artwork. Recent Ph.D. graduate Mark Bezpalko, of the Thomas/Foxman groups, and Bruce Foxman carried out all of the structural work in the Brandeis X-ray Diffraction Facility, and all of the computational studies were carried out by Bing Wu and Chris Thomas using the Brandeis high performance cluster. Associate Professor of Chemistry Christine Thomas is featured in an American Chemical Society “virtual issue” on young investigators leading the field of synthetic inorganic chemistry in new and exciting directions.